1.) For U.S. History teachers there is Mission U.S. The site is designed to be a free online role-playing game where you play the role of an American during the American Revolution and you have to make decisions that determine where his loyalties lie. This is currently the only chapter/level available. The next game, available this spring will be focused on slavery. It appears the goal is to release a new chapter/game every year. Another role playing video game option is American Dynasties that is worth checking out as well. 2.) For both U.S. History and World History is Footnote, which is a site for finding primary documents online. There are several collections of interest: World War II, Holocaust, Black History, Vietnam, and the Civil War. Footnote hosts 70 Million original documents. You can browse by title, time period, keyword search, or search by state. Great for State History classes. Another option is Digital Docs in a Box. 3.) Maps of War is a great site for studying the impacts that war has had on the world. The maps provide a visual history of war, religion, and government. There are currently 7 maps that can be used in the classroom to enhance the subject matter. 4.) The Historical Marker Database is a great resource for U.S. History teachers. So much history has happened in the United States and this site helps bring the location of those events to reality for students. These markers are all over the country and throughout each state. Using the Database, students will be able to find local markers and research historical events within their hometown. Using a FLIP camera or digital camera students could log their "field trip" to the marker. 5.) Critical Past is a historical video and picture site. With over 57,000 videos and 7 million pictures, it is your one stop for digital primary sources. You can watch the videos on the website in a small screen and view the photos with a watermark/copyright. If you want a full screen and HD versions of the video and non-copyrighted photos, they will have to be purchased. You can also have a Pro account that offers more services. Another great feature is that you can "edit" the information that comes with the videos in case there are discrepancies. So the site is free, and the videos can be free, but there are paying features. 6.) DocsTeach is a great site that takes primary documents and allows users to CREATE activities related to the documents OR use activities previously created. There are over 3000 primary sources available to use from the National Archives. I highly recommend using this site! 7.) Playing History is a site dedicated to sharing games that relate to history. There are various games based upon the units that you are teaching. There is a huge tag cloud to help find games as well. It is basically a searchable database to outside websites. If students are going to play video games, why not play some that relate to content? 8.) Newspapers are a great way to teach history. There are two great sites do find archived newspapers. The first is Rag Linen, which "is an educational archive of rare and historic newspapers, which serve as the first drafts of history and the critical primary source material for historians, authors and educators." The second is Chronicling America from the Library of Congress. "This site allows you to search and view newspaper pages from 1860-1922 and find information about American newspapers published between 1690-present." 9.) OurStory is a site that offers American Stories and Activities that teachers can do with their students. "OurStory is designed to help children and adults enjoy exploring history together through children’s literature, everyday objects, and hands-on activities." There are several activities that are worth exploring and implementing in your classroom. 10.) Shmoop for U.S. History has some great resources and study guides to use with students. There are several resources for teachers that can be used inside and outside of the classroom. All the resources are broken down by the units that are taught by social studies teachers. For students there are supplements to help them learn about the subject matter, such as timelines, biographies, and assessments. 11.) TimesMachine is a site from the New York Times that has digital copies of Volume 1, Number 1 of The New-York Daily Times, on September 18, 1851, through The New York Times of December 30, 1922. 12.) The Zinn Education Project is a site that has valuable resources and lessons plans for teaching U.S. History. I am a huge fan of his books, and the lessons seem very in depth and practical. It is worth checking out. The lessons are divided by subject matter and easy to sort through. 13.) Primary Access is a site that offers three activities for using primary sources. Students can create a “Movie,” Story Board, or Rebus from primary documents. I really like this site. 14.) A Social Studies Resource with links to several other Social Studies Web Sites. Another resource is Historyteacher.net which is updated by a teacher and provides links to tons of resources. 101 Great Sites for Social Studies Class is another valuable resource worth examining. 15.) From the Library of Congress comes a great Map Collection of historic maps. Maps are broken down into 6 different categories and can be used to enhance a lesson and show maps from the actual time period that you are studying. 16.) The Greatest Inventions of All Time is a great resource to share with students when it comes to talking about this time period in history. It provides the invention, date, inventor, and country. When you click on the invention you are provided even more information. 17.) State of the Union is a great resource for discovering and learning about ALL the State of the Union Speeches from the past. It does a great job of comparing key words and content of each speech. Worth checking out. 18.) World War II Database is a great site for resources for World War II. A great place to find images and information to share with students for projects or for your own lecture. Another option is the Science and Technology of World War II. 60 Years of Tension is a great resource for learning about the Korean War. 19.) History World provides information, timelines, and quizzes about all things history. It is a great resource for a synopsis of time periods. Would be valuable to share with students working on a project as well. 20.) SepiaTown is a website that provides historical photos of actual places. You can find photos using the map and then see a comparison of the old photo with the present day location. 21.) American Journeys contains more than 18,000 pages of eyewitness accounts of North American exploration, from the sagas of Vikings in Canada in AD1000 to the diaries of mountain men in the Rockies 800 years later. Read the words of explorers, Indians, missionaries, traders and settlers as they lived through the founding moments of American history. View, search, print, or download more than 150 rare books, original manuscripts, and classic travel narratives from the library and archives of the Wisconsin Historical Society. 22.) The Price of Freedom: Americans at War is a valuable resource for learning about the perspective from Americans in various wars. 23.) EyeWitness to History is a resource providing real person and real time accounts of historical events. You can find photos, journal entries, articles, etc. All the documents are divided by time period and are easy to search. 24.) Teaching American History is a site offering lesson plans and resources for U.S. History Teachers. 25.) The United States National Archives has a valuable and useful YouTube Channel worth checking out and bookmarking to share videos with your students. 26.) A great video that explains the Civil War in 4 Minutes. Great for an introduction or a review. 27.) The Old Photo Album provides a walk down memory lane by providing vintage photography of war and everyday life. You can search through the photos by category or by tag. It is a blog that has been around since April of 2009. Visitors can submit photos as well. A great primary source website. 29.) 65 Twitter Feeds for History Teachers is a great blog post for teachers looking for ways to integrate Twitter into the Social Studies classroom. A great list of hashtags and usernames. 30.) The Reading Like a Historian curriculum engages students in historical inquiry. Each lesson revolves around a central historical question and features sets of primary documents modified for groups of students with diverse reading skills and abilities. 31.) HyperHistory is an expanding scientific project presenting 3,000 years of world history with an interactive combination of synchronoptic lifelines, timelines, and maps. 32.) History Matters serves as a gateway to web resources and offers other useful materials for teaching U.S. history and is designed for high school and college teachers and students. 33.) Teachinghistory.org is designed to help K–12 history teachers access resources and materials to improve U.S. history education in the classroom. Resources are available for K-12 classrooms. 34.) European History Interactive Map is a great way to see how the continent of Europe changed over time. There is also a lot of statistical data available for those changes as well. A great resource. 35.) History Tours is a Wiki that gives teachers access to pre-made Google Earth tours on various topics in American and World history. These tours provide an excellent backdrop for visual learning. They allow students to view people and places of historical importance while the teacher presents essential background knowledge. 36.) American Memory provides free and open access through the Internet to written and spoken words, sound recordings, still and moving images, prints, maps, and sheet music that document the American experience. 37.) Rulers is a site that contains lists of heads of state and heads of government of all countries and territories, going back to about 1700 in most cases. Also included are the subdivisions of various countries, as well as a selection of international organizations. Recent foreign ministers of all countries are listed separately. 38.) Real Military Videos is website that provides videos of real war time footage. A great primary resource for social studies teachers. 39.) Historical Scene Investigations is a website that lets students use primary documents to investigate various events in history from the time period. As a history teacher, this seems like a promising website. 40.) Here are a couple of Blogs worth following: US History Teachers Blog, World History Teachers Blog, and Social Studies and History Teacher's Blog. 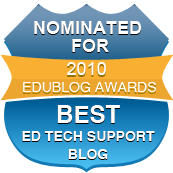 Shares several great videos, websites, activities, and lessons for your classroom. 41.) The British Cartoon Archive is a valuable site for teaching with political cartoons. You can find various cartoons from times throughout history. If you teach with political cartoons, I highly recommend searching through this site. 42.) HistoryBuff is a nonprofit organization devoted to providing free primary source materials for students, teachers, and anyone who loves history. The sites primary focus is on how news of major and not so major events in American history was reported in newspapers of the time. You can also find panoramas of historic sites in America. 44.) The Trans-Atlantic Slave Trade Database has information on around 35,000 slave voyages. You can search the voyages database, examine estimates of the slave trade, and search through a African names database. 45.) Picture History is a website dedicated to providing free primary source historical images. There are various ways to search for material whether it be through a basic search or by categories, photographers, decade, or anniversary. These are intended to be purchased to have a hard copy, but you can still search for the images and show them to students in the classroom. 46.) Teaching History is a website dedicated to history teachers. You will find resources, activities, lessons, and materials for teaching history at all grade levels. You will also find videos related to various methods for teaching history. 3.) From PBS, comes a great resource for learning about the Supreme Court. One of their sites contains games and interactives that contain 9 games to help students learn about court cases and how the Supreme Court works. So many of the Supreme Court cases have defined our future, and students need a good understanding of how it works. 4.) You're the Candidate provides an opportunity to create a Presidential Election platform. Students create a character, create stance on issues, determine their level of importance on those issues, and choose states to spend time campaigning in. 7.) Harper's Weekly has a great collection of political cartoons. You can search by date or by topic. For more modern cartoons, a great site is Daryl Cagle's Political Cartoonists Index. 9.) A great collection of American Foreign Policy Resources. You can browse and search for various texts related to foreign policy. The collection covers the election of Abraham Lincoln to the end of World War I. 10.) For current events, I suggest newsmap which organizes news by location and topic and color codes those topics as well. Another site is 10x10 which helps organize and share 100 words and pictures that define the time. You can choose a time and find the stories that matter to what you are teaching. 11.) C-SPAN Video Library provides links to videos from the C-SPAN channel for completely free. You can search their archives for videos to use in your classroom. 12.) Open Congress is a site that allows visitors to track bills, votes, senators, and representatives in the U.S. Congress. This would be a great site for government teachers to share with students who are doing current events that relate to how the laws are changing and what is going on with Congress, especially this year with all the change over. 13.) StreetLaw has put together a great site for Landmark Supreme Court Cases. Whether you are teaching them or students are learning them, this would be a great starting point. 14.) Legistalker is a great website for staying up to date on what legislators are up to. Always good to see current events in real time. A great resource for studying government trends and happenings. 15.) Reading Between the Battle Lines of the Constitution: An Annotated Guide is a valuable resource for U.S. History and Government teachers. I highly recommend sharing this with your students. It does a great job of explaining several parts of the U.S. Constitution that can be difficult for students to understand. 16.) Congressional Bills and Votes is an interactive from the New York Times that explains the votes, results, and opinions on old and current bills going through Congress. A valuable tool for Government teachers. 17.) 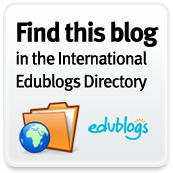 Here is a great Government Blog worth following: US Government Teachers Blog. He shares relevant and recent information about our government, as well as links to websites and other resources for the government classroom. 1.) Google Earth (I can download this for you if you would like) is by far the best tool to explore the continents, countries, cities, and oceans. I am a huge fan of Google Earth and it is only getting better. One way to use Google Earth is to zoom into a location in the world. Zoom in really close. Then have students ask yes or no questions. Every question that gets a yes, you zoom out just a little bit. This is a great method to teach kids Absolute and Relative location. Google just released version 6, so I suggest downloading it. If your district blocks access to it, create a list of ways you plan to use it and submit it showing it as a powerful education tool. If you need help with Google Earth, check out the following resource. Other Resources include: How to Teach With Google Earth, and Google Earth Lessons, and Google Earth for Educators: 50 Exciting Ideas for the Classroom. 2.) Use Google Maps to "Trek" across places in the world. This is a great way to teach the movement and places themes. 3.) If It Were My Home is a great site for students to understand the themes of Place and Region. It allows you to compare sizes of several countries and natural disasters to your home town. Students have a hard time grasping the actual size of countries, so if you can put it over your home town, they will better understand is size. 4.) TargetMap is a site that allows users to create their own maps with data sets they can determine based on research. When students are done with the maps, they can then submit them to the teacher to be graded. This site can help cover all 5 themes of Geography. 5.) ShowWorld helps compare countries based on certain data and then alters their physical size compared to the data selected. You can choose between 5 different categories, which then break down into sub-categories, which then provide options for different data sets. A great tool for teaching the five themes of Geography. Each map provides information as well in terms of ranking and numerical data. Another option comes from FedEx. 6.) Atlas of the Biosphere is a site that presents maps from each continent based on 4 areas - Human Impacts, Land Use, Ecosystems, and Water Resources. Each of the 4 areas is then broken down into specific data (Infant Mortality Rate, Life Expectancy, etc). There are also schematics available that show processes in motion, like the Hydrologic cycle. 7.) Country Studies is a "website contains the on-line versions of books previously published in hard copy by the Federal Research Division of the Library of Congress as part of the Country Studies/Area Handbook Series sponsored by the U.S. Department of the Army between 1986 and 1998. Each study offers a comprehensive description and analysis of the country or region's historical setting, geography, society, economy, political system, and foreign policy." Another great option is Atlapedia. 8.) Scribble Maps is a site that allows you to digitally write on top of Google Maps. This would be a great site to use to teach about different countries or aspects of the earth (Longitude and Latitude, rivers, borders, etc) because you would be able to draw and highlight specific lines for students to see. Each STRAIGHT line you draw gives you a distance and latitude and longitude point. You also get all the regular features of Google Maps. 9.) Map Maker is where students can decide what goes on a map in terms of borders, cities, and categories of data. This would be a great tool to use in the classroom as an introduction to a lesson. Another great website is Gapminder, which allows students to see data change over time in relation to statistics, like World Population. You are able to pause the interactive to discuss why the data changes (World events like WWII). 10.) A growing area of study in the Social Studies classroom is the Middle East, and thankfully there is a site for Teaching the Middle East which provides links, resources, and activities for teaching this part of the world across the social studies curriculum. 11.) DataMasher provides the data available from the United States and allows users to create mashups to visualize them in different ways and see how states compare on important issues. Users can combine different data sets in interesting ways and create their own custom rankings of the states. 12.) Time Zone Converter is a valuable tool when teaching geography to help students understand time. It is always a struggle for students to understand how it is a different time and day in other parts of the world. This would be a great supplement. 13.) The CIA World Factbook and Google Earth are great resources for teaching Geography. Now thanks to a one man project by David Tryse he has combined the two into the KML Factbook. Awesome is an understatement. You might be interested in checking out his other Google Earth Projects. 14.) Tripline is a website designed to share trips through images, audio, and stories. I wrote previous post about it and that is where I will direct you for more information. 15.) Mapping the Measure of America provides "an easy-to-use yet methodologically sound tools for understanding well-being and opportunity in America and to stimulate fact-based dialogue about the issues we care about: Health, Education, and Income." These are some very useful interactive maps that you can use in the classroom. 16.) QuizGeo allows you to create and play quizzes based on geography using Google Maps. This can include anything from locating all of the countries in the world to locating all of the playground equipment at your local park or school. 1.) The Economics of Seinfeld is a website that shares parts of the television series that relates to economics. You can click on Economic terms and find all the clips that relate to that topic. The site previously did not have the clips on there and now they do as well as a description of the clip. 2.) Common Craft has put together some great videos discussing money as it relates to economics. The topics include Borrowing Money, Insurance, Investing Money, Saving for Retirement, Saving Money (Compound Interest), and Stock Markets. I highly recommend adding these to your lessons. 3.) We Seed is a free site for educators to teach students about the Stock Market. "We Seed is a virtual tool that uses actual companies, stock prices and data — but all trades are made with fake money. Students can buy and sell shares anytime — and see first-hand how the market is affecting the portfolio they build." 4.) Economics Lesson Plans are available by categories and subject matter. Many of the lesson plans involve the integration of technology as well. This would be a great starting point when looking for Economics Lessons. There are also several lessons available from PBS and the Council for Economic Education. 5.) The McDonalds Video Game allows students the opportunity to build a McDonalds franchise, and control all aspects of production and consumption. The game is available in 9 different languages. "Making money in a corporation like McDonald's is not simple at all! Behind every sandwich there is a complex process you must learn to manage: from the creation of pastures to the slaughter, from the restaurant management to the branding." 6.) The Story of Stuff is a great website that looks at how stuff is made and done. There are two great videos: Bottled Water shows the implications of all the bottled water in the world and how it is produced and consumed. Another great video is Cap and Trade which is perfect for Economic lessons. 7.) The Economics Search Engine is a site that allows you to find specific resources, websites, and links for Economics. This would be a great way to search for specific terms or stories related to economics. The words that you search for will then be highlighted, thus making it easier to see connections. 8.) From econedlink - Free Online Economic and Personal Finance Resources for K-12 comes a great resource that contains several interactives that students and teachers can use to have a better understanding of economics and personal finance. You can search for interactives based on grade level, concept, and interactive tool. Some of the interactives are Flash and others are videos. 9.) SimCity has grown so much since the first version, and because of that growth students can play the original version of SimCity online for free. Registration is required. I like this type of game because students have to make economic decisions. They have to determine Supply and Demand as well as have an understanding of Opportunity Cost. 10.) LavaMind is a site that provides links to Business Simulation Games. The three games of interest are Gazillionare, Zapitalism, and Profitania. Each game has a business economic goal in mind. Gazillionare is a cross between business strategy and Wall Street in wonderland. Zapitalism goal is to become a retail tycoon. Build your company from the ground up, open larger stores, and outwit your wiley competitors in a game of super sales and savvy shoppers. Profitania puts you in the role of a manufacturing mogul. Buy up commodities in real-time, expand your factory, and invent new products. In no time, you'll be on your way to becoming an industrial tycoon. 1.) Picturing America, from the National Endowment for the Humanities brings masterpieces of American art into the classroom. Students can gain a deeper appreciation of our country's history and character through the study and understanding of its art. 2.) The Google Art Project has received quite a few blog posts in the blogosphere but I thought I would share it here as well. Through the Google Art Project you can explore museums from around the world, discover and view hundreds of artworks at incredible zoom levels, and even create and share your own collection of masterpieces. 3.) ARTSEDGE: Multimedia Library is a website that provides images, audio stories, music, video, and interactives from the Kennedy Center. There are valuable resources for teaching about the arts as well as lessons for educators.